(Newser) – Pet grooming is an unregulated business and requires no license, and a PETA spokesperson tells the San Francisco Chronicle that the organization gets complaints "all the time" from people who say their pets were injured or even killed during grooming at PetSmart. 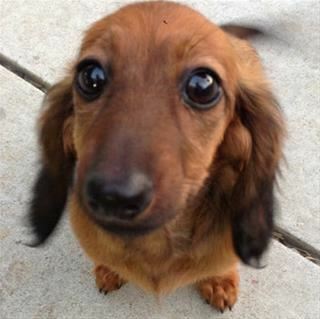 Now a California couple whose dachshund Henry died at a San Mateo PetSmart in May are filing a wrongful death lawsuit against the retailer and a groomer not for money, they say, but for "systematic" changes. "We want these people to be trained," says Stefan Zier, who with his partner Terrie Peacock has been mourning Henry's death ever since. "I was helpless—he was dying right in front of us," Peacock says. "It's been a living nightmare." This is happening at PetSmart stores everywhere. I was living in Phoenix in 2011 when they let my small dog fall off the grooming table while attached to their leash. He would have died from hanging if the other groomer had not rushed over. They didn't tell me and when I picked him up both eyes were burgundy red where he had petechial hemorrhaging in his eyes which is indicative of "hanging". I took him into the Banfield Vet located in the store and the vet was aghast! He would not admit what had happened naturally but he called the store manager and they agreed to pay for my dogs treatment. This is probably what happened to their dog and in the struggle of strangling (which is very violent) his ribs were broken and punctured his lung. This murder happened San Mateo, California - is the groomer, Juan Zarate, an American citizen or an illegal invader? I would have attacked the guy right there, in the store. We don't take our little guy to groomers, but if we did, no way we are taking our eyes off of him. The only people we trust with him are the staff at our vet's office. Everyone there loves him.